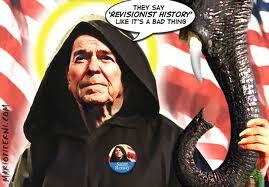 Criminalize Conservatism: Who Was Worse: Reagan Or Bush? 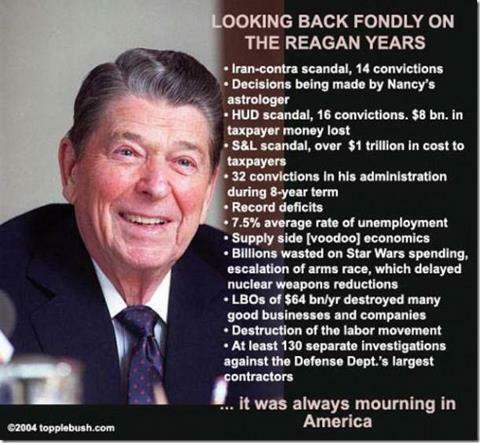 Who Was Worse: Reagan Or Bush? "There's a strong case to be made that Ronald Reagan was worse than George W. Bush as president and here are five of the main reasons. "Accoding to NPR.org, when George W. Bush came into office in 2001, the national debt was $5.8 trillion. 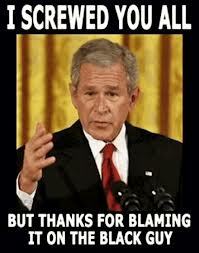 When President Bush left office, it had nearly doubled, to $10.6 trillion. While the actual number is higher than Reagan, the percent is much less. "When Ronald Reagan came into office in 1981, the national debt was just over $900 billion dollars. Despite claiming to lower the debt during his campaign, by the time Reagan left office after the 1988 elections, the national debt has nearly tripled to $2.6 trillion dollars. While spending is expected and needed following a recession or depression, it's not expected when the candidate runs on cutting spending. In the eight years that he was in the White House, Ronald Reagan more than doubled the national debt that every single president before him had accumulated in the previous 200 years. George W. Bush deserves the majority of the blame for the fall of the U.S economy in 2008, but if it wasn't for Reagan laying down the foundation for economic destruction, Bush wouldn't have had the chance to follow in his footsteps. "Ask a Democrat, or independent for that matter, what one of the leading causes for the national debt is and one of their top answers is usually the Bush tax cuts. While raising taxes on lower income families would be a nightmare, receiving revenue from those who have been given the biggest handout for the last ten years is not just wanted, but is needed. When George W. Bush came into office, the top tax rate for the most wealthy Americans was only 39.6% and due to the Bush tax cuts, the top tax rate was dropped to 35%. Though other brackets were dropped as well, by dropping the top tax rate, massive revenue that was needed to fund the government was no longer coming in. The Bush administration had claimed, following the Reagan model, that the tax cuts would pay for themselves by generating enough additional revenue from added economic growth to offset the tax rates being lowered. "The theory is known as supply side economics, or Reaganomics, where if you give the wealthy tax breaks, they will turn their added income into jobs. The problem the "trickle down" theory is that the majority of those receiving tax breaks aren't creating jobs. Those that do create jobs, use the loopholes in free trade and the free market system and ship jobs overseas to other countries. It makes sense for them as a business because any time you can pay labor less your own profits will rise. If a business is able to pay a worker in China .30/hr compared to a living or even minimum wage in the United States, they will do so to increase their profit margin. While the business and their executives make a tremendous amount of money, it hurts the United States and its workers in the long term. 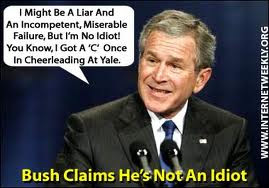 "President Bush cut taxes, especially on the wealthy, and according to the New York Times,"reducing revenues by about $1.8 trillion between 2002 and 2009." But as Bush cut and added, what Reagan did was even worse. Ronald Reagan came into office in 1981 with a national debt of just over $900 billion and left tripling the debt in the process. One of the leading causes of the debt exploding was because, while the government continued to spend, the revenue was no longer there to fund the programs. Reagan took a top tax rate of 70% in 1981 and cut it to 50% by the end of his first term in 1984. When Reagan left office after the 1988 elections the top tax rate was only 28%. With the government taking such a drastic pay cut, the only way it could survive is if programs were slashed. "According to a report from the Slate, the size of government didn't decrease nearly enough to keep pace with the tax cuts. "In fact, according to the Mises Institute Monthly, if you combine the presidencies of bothRepublican, Gerald Ford and Democrat, Jimmy Carter, their total amount of 'national income' increased 1.4% compared to Ronald Reagan's 3%. The report also shows that while Reagan criticized the Carter administration for spending 27.9% of 'national income,' Reagan had spent 28.7% of "national income" in the first quarter of 1988 alone. While George Bush cut taxes and grew government in areas it didn't need to be, Ronald Reagan once again laid down the foundation. "With Ronald Reagan cutting taxes so drastically, the U.S government was beginning to starve. Reagan added to the government and didn't make enough spending cuts to offset the tax cuts, so the money needed to come from somewhere. Ronald Reagan knew that his polices would create economic bubbles, unemployment would drop and some jobs would be created, but in time the bubble would burst leaving the economy in ruins. In order to counteract his own economic policies, Ronald Reagan needed to find somewhere else to get revenue. Listening to Alan Greenspan and other advisors, Ronald Reagan raided the Social Security Trust Fund and replaced it with glorified IOU's. Ronald Reagan raised the Social Security tax rate which did add to the revenue, but because there is a cap on Social Security, currently no income over $106,000 is taxed for Social Security, the wealthy didn't feel the tax increase and the pain was pushed to the middle and lower classes. President Bush created the Medicare Part D program which was not paid for and added to the debt, but compared to what Ronald Reagan did with Social Security, President Bush doesn't look so bad. "George W. Bush was given a briefing in early 2001 hinting at the realistic chance that al Qaeda and their terrorist forces could attack the United States. Bush ignored the notation and later that year the country was underattack. Thousands of Americans died and thousands are still feeling the effects of that disastrous day. President Bush started the War in Afghanistan in the hunt for Osama Bin Laden and al Qaeda, coming within grasps at grabbing the leader at Tora Bora, but Bin Laden was able to walk through the mountains and escape. In addition to the war in Iraq, thousands of Americans and civilians have died, trillions have been added to the national debt and the United States has been put in an economic and emotional tailspin for the last decade. "Americans have to wonder how Osama Bin Laden, the leader of al Qaeda, was able to gain so much knowledge and training to execute such a horrible act. For the answer you need to go back into history 30 years. During the Cold War, Russia was seen as the major threat, and at the time they were battling forces in Afghanistan. Ronald Reagan thought Russia would be the possible destruction to the United States and after he was elected in 1981, funding for the rebel forces in Afghanistan increased significantly. Those rebel forces were known as the Mujahideen, who would later become al Qaeda, the Muslim Brotherhood and the Taliban. Under the orders and funding of the Reagan administration, the CIA trained the Mujahideen in assassinations, car bombs and other tactics that they still use today and used on 9/11. "Though George W. Bush wasn't prepared for the attacks on 9/11 and reacted poorly, Ronald Reagan put the training and funding in place. There are those that make the argument that Reagan never knew that the terrorists would use the training against the United States and that is most likely true, but as a leader you must know who you're giving money and training to and what the ramifications could possibly be. 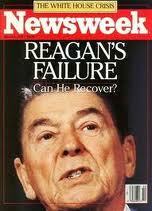 "Possibly the greatest failure of Ronald Reagan was his war on workers, wage earners and the middle class. There was a time in the United States where only one parent had to work and children could go to college without massive debts holding them down. Jobs offered pensions where the worker knew they had something to look forward to when they were going to retire and unions were larger, protecting worker's rights across the board. Ronald Reagan, once a former union member, turned his back against working Americans and union busting was happening across the country. "It started with PATCO, the air traffic controllers unions, on August 3rd, 1981. The union went on a strike, seeking fair pay, improved working conditions and an extended 32 hour work week. The union workers also wanted to be removed from the civil service clause that handicapped the workers and prevented them from going on strike. Reagan wanted no part of this and after threatening the union, the president fired 11,345 workers who refused to come back to work. Reagan banned them from federal service for life, but the ban was later removed by President Clinton. "The PATCO strike was just the beginning of the war on workers. As the years went on, worker pay stayed stagnant as executive pay rose to all time highs. Today, Republican governors across the country, like Scott Walker, John Kasich and Chris Christie, are all following the Reagan model to bust unions, destroy the middle class and move all the wealth to the top 1%. If Ronald Reagan was the best that the Republican Party can offer as a "great president," and Bush Jr. was the worst, it's no surprise that the GOP came up with Mitt Romney as their standard bearer in 2012. A copy of the Monopoly Man, Romney wasn't apologetic about any of his beliefs that the "47 percent" was against him, that the rich should rule the 98 percent, and that the rest of us wanted "gifts" from the government. These beliefs surround the core belief of the Conservative leadership, that only the rich are capable of ruling the country. Every policy of the GOP is directed towards implementing that belief, whether by dumbing down our kids, waging War On Women, eliminating taxes for the most wealthy among us, starting wars overseas, and a multitude of attacks on the middle class. And their strategies are taking hold - even now the country suffers from the Reagan depredations, not to mention Bush Jr's. and Cheney's attacks on our wallets and purses. 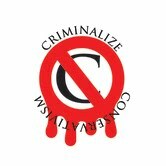 Before it's too late - criminalize Conservatism! "Jerry Ford is a nice guy, but he played too much football with his helmet off"